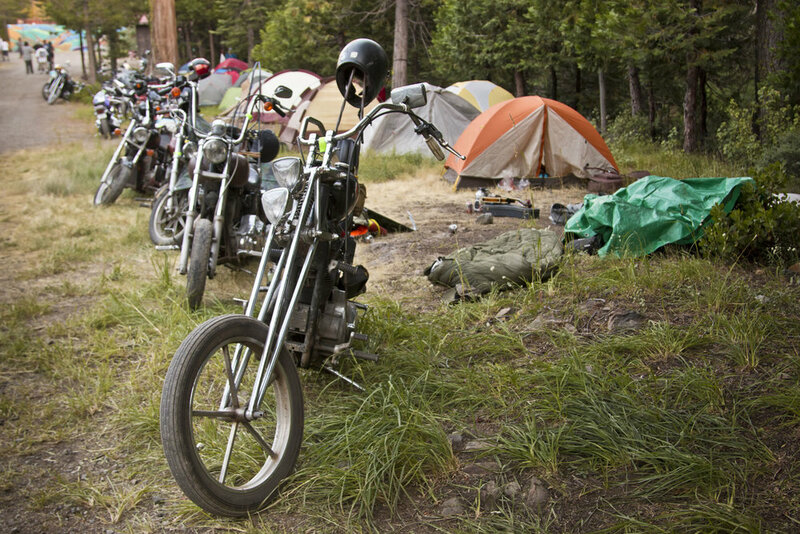 The Sierra Stake Out is a 3 day / 2 night camp out created for motorcyclists that like to adventure off the bike. It's located in the private Cisco Grove Campground just 80 miles east of Sacramento. 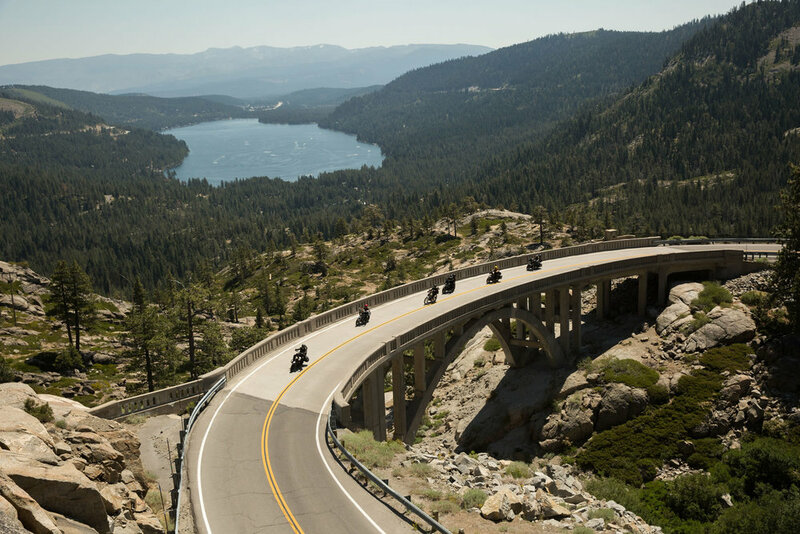 Ride around pristine Lake Tahoe, pay homage to the Donner Party where they met their demise in 1846, cross some epic bridges, or hang back and cool off in our private river fed watering hole. We've got route maps to a bunch of our favorite spots, but it's not hard to make up your own adventure. At the campground, there’s tons of shade, dozens of places to charge equipment, fresh spring water and even some real bathrooms to accommodate our guests. The grounds feature a fully stocked camp store and a gas station is conveniently located right off the exit of our site for quick fuel ups before or after your ride for the day. There's also live entertainment from local bands, a bike show, food truck, adult beverages, and a fully stocked espresso and coffee bar if you need a little pick me up. Grab your friends, pack up your gear, and join us July 19-21, 2019 for a weekend of moto camping and adventure in the Sierra Nevada mountain range.